I am sure you are totally are annoyed by the advertise phone. It's okay to pick up the phone when you are free. You can just take it as a conversation with a stranger, which sometimes the stranger get a nice sound voice. But it will totally change your attitude when you are busy at work or study or busy with something else. We do have some ways to solve this problem to keep away the advertise phone call and add it into the blacklist to make sure it will never come back. Now I would like to introduce some android apps for this function, you may read it and get the proper one for installing. And the ios users, you will have to check the Google for help. Every phone should work this way. A phone lays in the shield which means protect you from disturbing calls. It get over 15,000 reviews with a 4.5 star average. What I like most about it is that Call Control is 100% Ad Free. With this, you can say goodbye to annoying and unwanted phone calls and texts! Call Control is just acts like anti-virus for phone calls, constantly working in the background to block unwanted calls and text messages. You can also save all of your lists both online and to your SD card for easy restoration or transfer to another device. This is another Call Blocker. It now supports Chinese, English, German, French, Portugal and Spanish. It will help you to block unwanted calls and spam SMS;Back up contacts to a server anmd transfer data to new phone;erase the call history, delete SMS messages between your phone and individual contacts permanently to protect private data at an easy way. 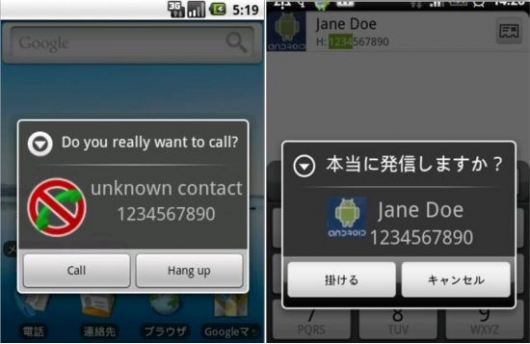 This app is simple enough to just asks whether the call is exactly you intended before any Android phone calls. So it's suitable for any friends want to keep the message but with this simple feature application. You can download the app by clicking the blue words. It will direct you to the android market to download. So no worry about the virus thing. Wish you are not disturbed by the unwanted calls any more after installing one of these great android apps which are desired to block the unwanted.